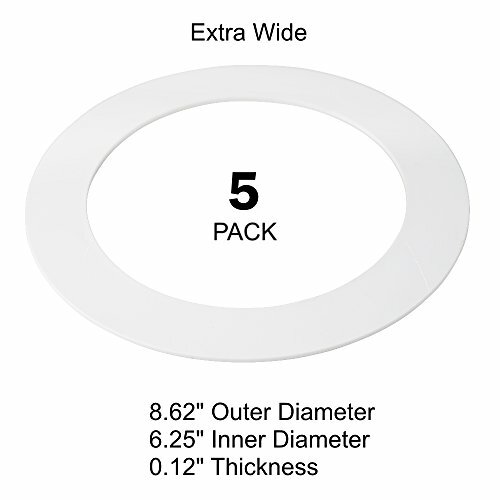 White goof ring/trim ring works with 5 or 6 inch recessed led downlights. ABS Plastic. These rings are custom made and specifically designed to cover gaps caused by an 8 inch Recessed Can. Rings under 8 inch will NOT fully cover an 8" can. If you have any questions about this product by HARRRRD, contact us by completing and submitting the form below. If you are looking for a specif part number, please include it with your message.